Determining the true goal of a good education is difficult. Should an accumulation of knowledge be sufficient to justify a qualification? If a student can recite facts verbatim, is that enough to deem them qualified for a certain career? Where does that leave critical thinking skills or practical, creative skills? As Part 1 and Part 2 of this blog series demonstrated, learning at the level of recollection and understanding alone is not enough to indicate that a student has achieved a tangible learning outcome. Furthermore, in the particular educational space in which GetSmarter functions – that of providing applicable workplace skills for career growth – the need for students to gain practical skills from their participation on short courses is paramount. For this reason, learning is scaffolded beyond the level of Analyse, and through the levels of Evaluate and Create, as defined by Bloom’s Revised Taxonomy. What is a tangible outcome? How does it support practical learning, or applied learning? According to Saenger (2013), a tangible outcome relates to specific artefacts or products that “record, prompt, and reinforce student engagement with key course material”. Here, the emphasis falls on the physical evidence of a given learning outcome. For example, a student may be required to map out a line graph on paper or in MS Excel, or they may be required to write an essay on a specific topic. The creation of these artefacts demonstrate higher-order thinking skills required at the Evaluate and Create levels. The benefits of this are two-fold. Firstly, any task where a student is required to work with something tangible is bound to be assessing the student on the higher levels of Bloom’s. Designing a learning path to end with a creative or evaluative task ensures that students are scaffolded to the top of Bloom’s. When students are required to physically create something, they will naturally begin to apply the learning they have gained along the way, through the previous levels, in the creation task. Secondly, and especially so in a market catering to working professionals, these kinds of tasks create demonstrable evidence of learning. If, for example, a student is able to walk away from a unit or module with a carefully marked-up document, or indeed one which they themselves have created, they are able to clearly show what they have learnt. These are often referred to as portfolios of evidence and are useful for students and educators alike. 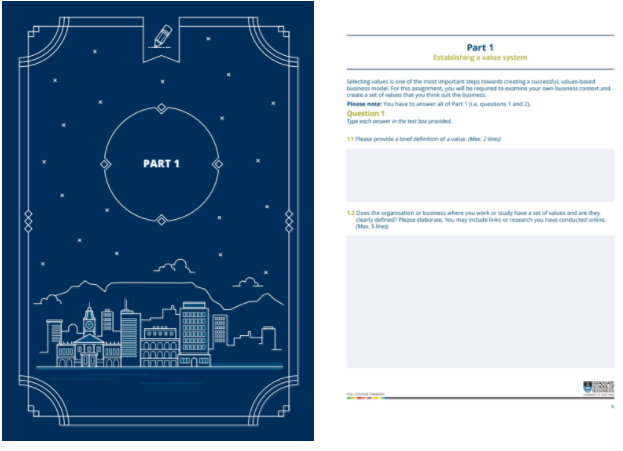 Figure 1: In the UCT GSB Fundamentals of Values-based Leadership short course, students complete a PDF document that functions as a portfolio of evidence once they have completed the course. As is evident from the above list of verbs, the focus of learning outcomes at the level of Evaluate is on the student’s ability to make informed decisions and suggestions based on a given set of information. At the previous level of Analyse, the requirement is simply to gather and organise information, as well as understand it. However, once the student reaches Evaluate, they are now required to synthesise this information and make decisions based on previous learnings and conceptual understanding. In this playful scenario, the student is required to use the musical theory knowledge they have gained up to this point to make informed decisions about how two songs could be combined without causing listeners auditory distress. As the above indicates, verbs at the level of Create take the final step beyond evaluation and require students to apply their learning in the most practical way possible. As mentioned above, assessment tasks at the level of Create are likely to result in some kind of tangible outcome, with the goal being to raise students’ learning beyond conceptual knowledge alone and into practical application. Each of these results in something tangible. It is at this point that both the student and the tutor can begin to feel assured that the course goals and learning outcomes have been achieved. Bloom’s Revised Taxonomy is one of the most useful tools in the arsenal of an instructional designer, or indeed any educator. When the goal of learning is to see tangible outcomes and practical, applicable skills, the Taxonomy provides a structured and clear system for scaffolding students along a carefully-designed learning path. The use of specific verbs allows for clear outcomes and the method of scaffolding means that students are guided towards learning goals rather than thrown in at the deep end. From Remember to Create, students are led towards a tangible outcome with the potential of serving as a portfolio of evidence, and in conclusion of their studies, can be confident in their ability to perform. Saenger, T.L. 2013. Creating tangible outcomes. Available: https://wikis.utexas.edu/display/TAwiki/Creating+tangible+outcomes [2016, January 9]. Lorenzo, G. and Ittelson, J. 2005. ‘Demonstrating and assessing student learning with e-portfolios.’ In Educase Learning Initiative Paper 3: 2005. Available: https://net.educause.edu/ir/library/pdf/ELI3003.pdf [2016, January 10]. Macquarie University Learning and Teaching Centre. n.d. Writing learning outcomes. Available: https://sydney.edu.au/education-portfolio/ei/assessmentresources/pdf/link12.pdf [2016, January 10].